Sixtron: Latest solar company to drop out? Two and a half years ago we covered Canadian solar startup Sixtron Advanced Materials, which had developed a new type of anti-reflective coating system for solar cells. Fast forward to 2011, and the company’s website is gone, its phones have been discontinued, its email addresses are bouncing, and according to PVTech, $1.5 million of Sixtron’s equipment and assets were set to be auctioned off in March 2011. While Sixtron wasn’t a solar panel manufacturer itself, it worked with solar-cell-manufacturing-equipment suppliers to sell them coating systems, called a SunBox. The SunBox enabled its solar equipment customers to deposit anti-reflective coatings without using silane, the gas usually used to accomplish this task. Sixtron said the gas could rise in price and become more scare in the future, and the gas is also volatile, requires safety equipment and can be a hazard. 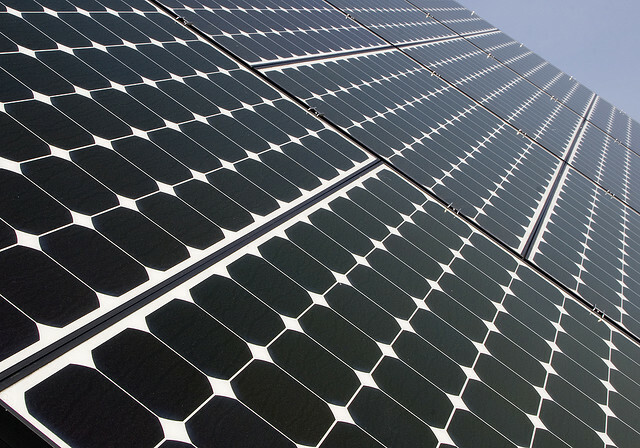 If Sixtron is out, it’ll be the latest solar company to fall in recent months. SpectraWatt, Evergreen Solar and Solyndra all have declared bankruptcy recently. Though, Sixtron was rather smaller and in a different vertical then the other firms. With the rapidly dropping price of solar panels, solar PV technology is becoming more and more commoditized and that’s made it hard for solar companies with new technologies to compete. The competition between the solar PV makers is now all about cost, and not necessarily tech innovation. However, that kind of price-conscious market could also be ripe for a tech that gives manufacturers an edge in reducing costs. At the end of the day there are a lot of things that can lead to the end of a company — costs, tech, management, investors, etc. Founded in 2004, Sixtron had a group of Canadian private investors including Ventures West Capital, iNovia Capital and Cycle Capital, and also received funds from Sustainable Development Technology Canada (SDTC), a group which received $1.05 billion from the government of Canada to support companies. Sixtron reportedly raised at least $12 million. it took six months to notice they were gone…. clearly they weren’t being used in many products and were therefore insignificant.